Are you looking to run your own wordpress blog or website then doing some research in the realm of best WordPress hosting is something you can’t neglect. There’s a huge difference between every hosting platforms and the very best WordPress hosting available there in the web hosting market. Here I am going to list 5 best of best hosting companies that are really recommended for wordpress. Siteground is one of the most recommended WordPress hosting company, founded in 2004 and servicing more than 800,000 domains worldwide. They are known for their top notch customer support and fast reliable hosting plans. Their WordPress optimized hosting includes everything you’ll need to create and grow a successful blog. SiteGround boasts an impressive 99.9% up-time for all their web hosting services. You will get multiple server locations, FREE CDN and SSL certificate. Startup: ($3.95/mo*) – This plan is limited to hosting one website. It includes 10 GB disk space and is suitable for hosting a website having 10,000 monthly visitors. You’ll also get all essential features like 1-click WordPress install, free setup, website transfer, daily backups, and more. GrowBig: ($5.95/mo*) – The GrowBig plan lets you host unlimited websites. It comes with 20 GB disk space and is suitable for hosting websites having 25,000 monthly visitors. You’ll get all the features of the Startup plan, plus you’ll get premium features like Super Cacher, 1-year free wildcard SSL, and more. GoGeek: ($11.95/m0*) – GoGeek plan is suitable for small eCommerce websites. It can handle websites having 100,000 monthly visitors. In addition to all GrowBig’s features, you’ll get access to more advanced features like one-click git repo creation, WordPress and Joomla staging, and more. You can boost security with SSL and SSH encryption, their servers utilize 10 GB connections, they have a UPS power backup system, and a super-strong server. Still, there’s a plethora of former customers out there who gripe about the slow load time. Bluehost hosting pricing starts from $3.95/mo including 1 website, 50GB storage and a free domain for one year. Plus and Prime package cost $5.95/mo includes unlimited websites, storage and bandwidth. All the three plans comes with cPanel with Standard Performance. With Plus and Prime Package you will get $200 marketing credit offer also. If you are looking for Advance Option there is GO PRO plan available, which $13.95/mo. Feature including Dedicated IP, SSL certificate, Domain Privacy and Site Backup Pro. If are looking for a developer friendly and high performance hosting A2Hosting is good place for you. Their Turbo Servers boost page loads up to 20X faster than competing web hosting companies. A2 Hosting have a blazing fast web hosting solution perfect for you! Whether you have a low traffic, brand new blog or own a popular business site, A2 Hosting has got everything! A2hosting has 3 plans to choose from. Lite Plan includes single website while Swift and Turbo includes unlimited websites. All 3 plans include Unlimited Bandwidth, Free SSL and SSD. Shared hosting plans starts from $3.92/mo. CPanel is also available across all packages to enable you complete control over your site and hosting. You can get any plans at discounted price. Coupon code is automatically applied to your shopping cart. A2Hosting Linux Web Hosting allows you to use the Latest versions of best software and features including PHP, MySQL, Apache, PostgreSQL, Python, Ruby, SSH and so much more! A2 Hosting promises a 99.9% uptime guarantee. the promised guarantee. When you have a question, you want to speak to a real person. A2 Hosting offer REAL support. Kinsta provides managed wordpress hosting solution. This is a kind of tool that is interconnected with Google Cloud Platform that helps to manage sites with its owned designed control panel. If you have larger business with millions of traffic Kinsta have a plan for you. WordPress knowledge is number one priority of Kinsta support staff. There are 8 packages available to choose. From starter to expert and business to enterprise kinsta have the packages for all levels. Starter package is available from $30/mo with 3 GB SSD storage, 50 GB CDN storage and FREE SSL. You can host a single wordpress site in this package. This package is best for those who have not huge monthly traffic. It allow 20,000 monthly visits. Business package started from $100/mo with 10GB storage, 200GB CDN storage. You can host 10 wordpress sites in it. This package allow upto 100,000 monthly visits. If you are looking to host more sites there are higher Business plans available to choose. Enterprise plans available from $600/mo with 80GB storage, 1,000GB CDN storage. Host upto 60 WordPress sites in it. This plan is best for Enterprise Grade level sites who have traffic in millions. This package allows 1,000,000 visits per month. All 8 plans includes Free SSL certificate, FREE CDN storage and 13 different location to choose. Every package available on monthly basis. If you buy any package for 1 year, you will get 2 Months FREE hosting. HostGator is really an excellent choice if you want to host a blog on WordPress. If you’re just going with the standard shared hosting, features are going to be okay. 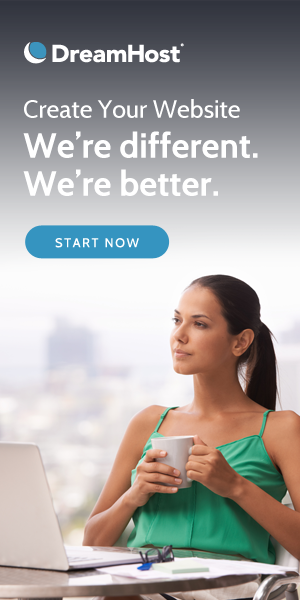 But if you go with the WordPress Starter Plan, you are going to get a ton of amazing features including a simplified control panel designed with your user experience in mind, apps and plug-ins for WordPress, speed boosting, enhanced security features (including malware protection), and premium WordPress features designed to simplify your life. Hatchling plan: This plan starts at $3.95 per month. It supports 1 domain name, unlimited disk space and storage and unlimited subdomains. Baby plan: This plan starts at $5.95 per month. It supports unlimited storage, bandwidth and domain names. Business plan: This plan starts at $5.95 per month. It supports unlimited storage, bandwidth and domain names. It comes with a free dedicated IP, SSL and toll-free number.